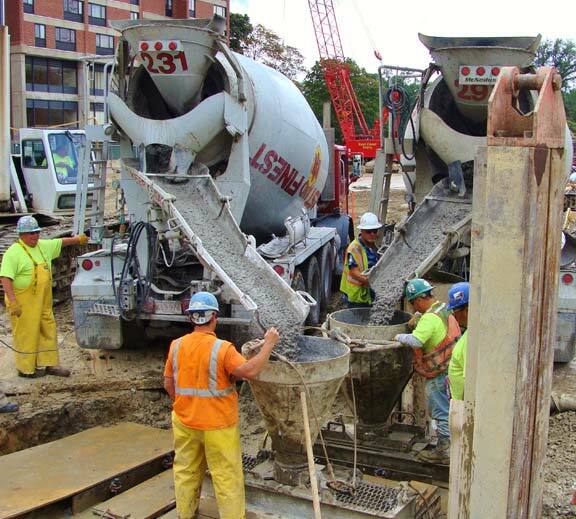 Structural slurry walls are typically installed to provide temporary and/or permanent perimeter earth support, as well as water cutoff, for deep underground structures, such as research facilities, parking garages, pump stations, cut and cover tunnels, and tunnel access shafts. They also provide permanent water cutoff underneath dams. 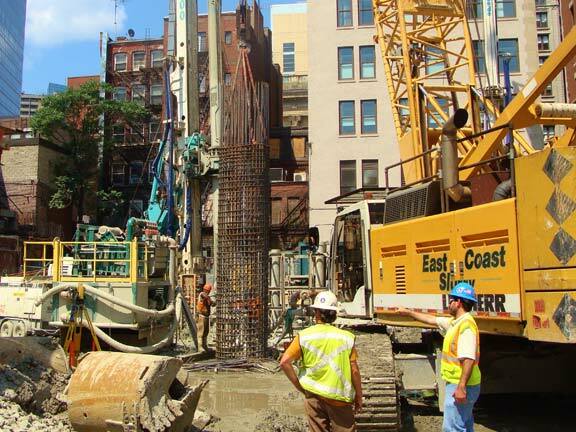 Slurry wall foundations are most appropriate where space is limited (urban areas), where adjacent shallow foundations need rigid support and where a high groundwater table is present. They are cost effective when they are used as both the temporary earth support system and permanent walls for the underground structure. 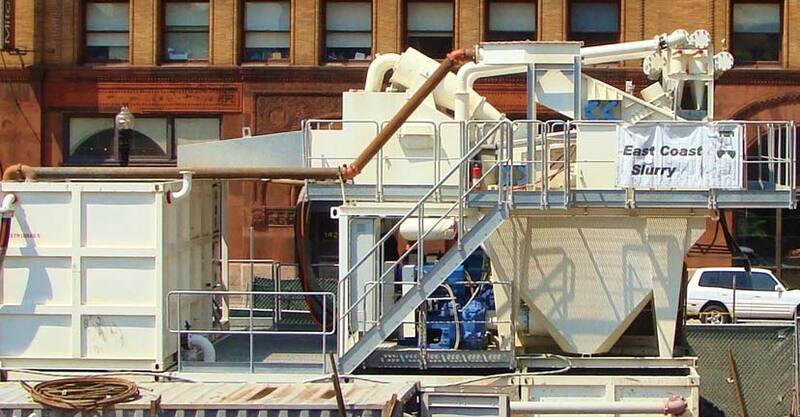 Slurry walls are constructed in individual panels using specially designed clamshell grabs to excavate a trench for each panel. The panels are typically 2’ to 4’ wide, 8’ to 25’ long and can reach depths in excess of 150 feet. 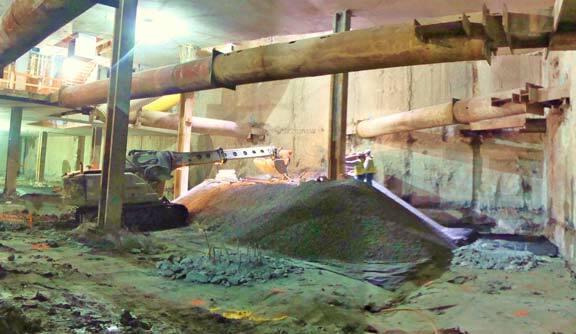 The trench excavation is stabilized by a bentonite slurry, hence the term “slurry wall”. The slurry is continuously fed into the trench as excavation progresses. 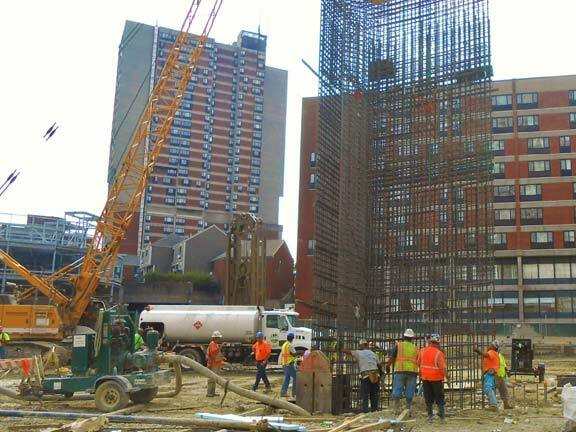 When the required panel depth is attained, preassembled reinforcing steel cages are placed in the slurry filled excavation and concrete is poured through one or more tremie pipes, thereby displacing the slurry. When all adjoining panels are completed, they form the perimeter structural wall of the specified underground structure. concrete slurry walls except that wall reinforcement is provided by structural steel columns instead of reinforcing bars. into subsurface bearing layers, constructed with the same slurry method as slurry walls. They are independent structural elements that support the loads imposed by the columns of the superstructure and are used most often as part of the “top-down” construction technique. This technique, whereby the building superstructure and below ground levels are constructed simultaneously, is used to accelerate a project construction schedule and to minimize the lateral movements of the underground perimeter wall during the construction phase. Non structural slurry trench cutoff walls have been widely used in environmental applications to provide an impermeable barrier to prevent the contamination of the surrounding water table by the migration of leachates. Slurry trench cutoff walls are also often used to prevent water flow underneath earthen dams and levee embankments. The slurry trench is constructed by excavating a 30” to 48” wide trench under bentonite slurry. 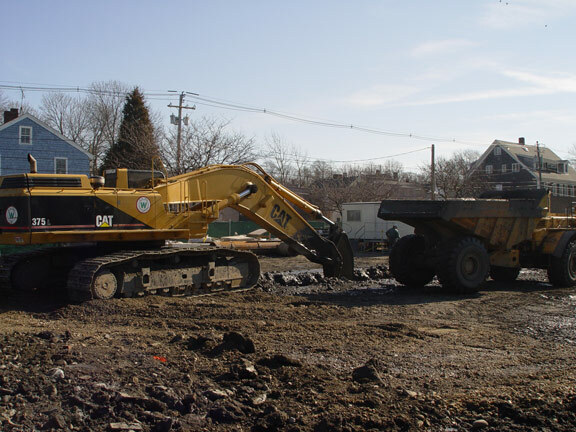 The trench is typically keyed into an impermeable underground soil layer or into rock and is backfilled with a mixture of soil and bentonite, cement and bentonite, or soil, cement, and bentonite. 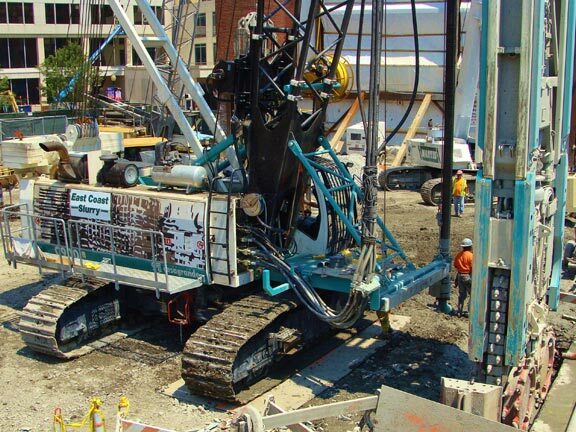 Drilled shafts, or caissons, are deep reinforced concrete circular foundation elements constructed with a rotary drill rig. They are used to provide support for column loads of buildings, bridge piers, or other structures. They can be used as an alternate to LBEs as part of the “top-down” construction technique.